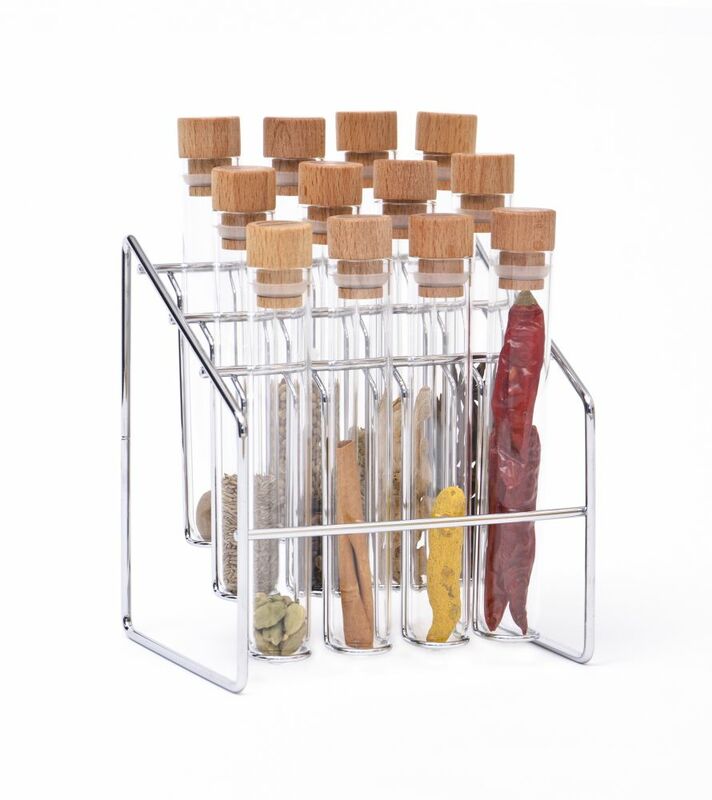 Spice lab - organises and dispenses dried herbs, mixed rubs and seasonings with ease. It comes boxed with thirty-five pre-named adhesive label stickers, four blanks for you to customise yourself, making identification clear. Based upon an early wireworks product favourite, 'Spice Lab' our new twelve tube herb and spice storage solver has added features, an improved design and this 'spicy cooks essential' is back in our kitchen product selection. The welded frame has a smooth, bright, chrome plated finish. Beech wood stoppers with friction-fit, pop silicone seals are designed to keep tube contents fresh and the crystal clarity borosilicate glass tubes are both hygienic and durable. Design by Anna Albright. Clean with a soft damp cloth. Glass tubes are dishwasher safe. Wipe wood stoppers with vegetable oil to maintain finish. LFBG and FDA compliant. Do not leave in prolonged contact with water. Tubes hold up to 60ml. Replacement stoppers available.